https://www.cutleryandmore.com/ankarsrum/assistent-original-stand-mixer-p138336 38336 Ankarsrum Assistent Original Stand Mixers https://cdn.cutleryandmore.com/products/large/38336.jpg 699.9500 USD InStock //Electrics The Ankarsrum Assistent Original Stand Mixer is designed to mix and knead your bread dough, cookie dough, cake batter and just about any other baked goods. 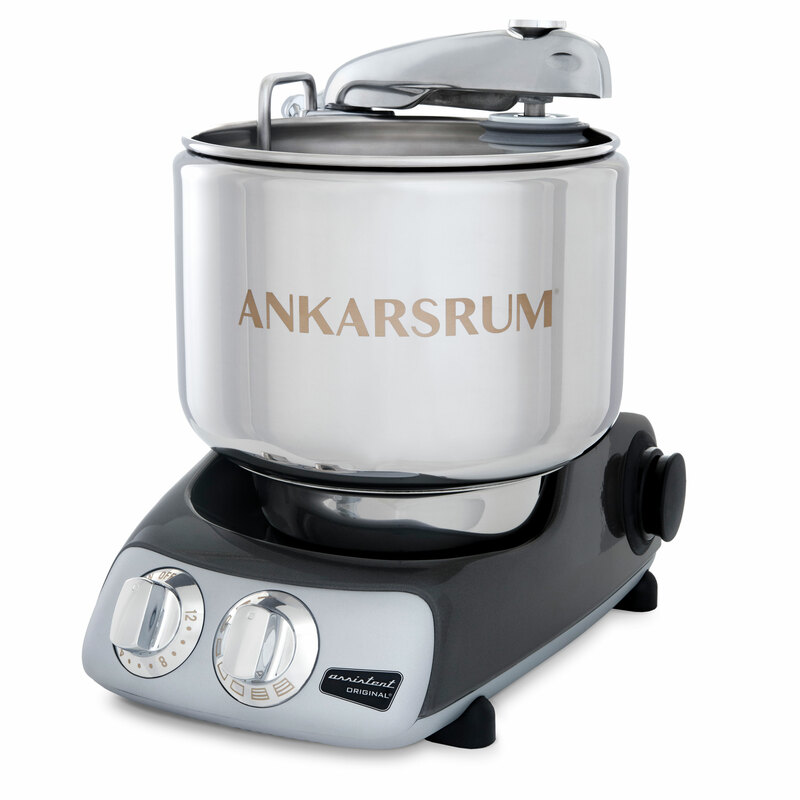 This one of a kind mixer features a stainless steel bowl and carbon steel base. Machine includes a 7 liter stainless steel mixing bowl, dough roller, dough knife, dough scraper, dough hook and dust cover lid (perfect for allowing dough to rise in the bowl). The large stainless steel mixing bowl has an astounding capacity of 21 cups of flour and a unique revolving design. As the bowl turns, the deeply fluted roller acts as your fingers, with the scraper mimicking the palm of your hand. The scraper folds the dough with a rhythmic motion while the roller provides a powerful massaging action. These mixing attachments are gentle enough for gluten free batters and perfect for higher hydration dough. The sturdy dough hook is designed for dryer, heavier doughs and kneads by stretching, pulling, and folding the dough around the hook as the bowl turns.